Blaine County commissioners urged representatives from Idaho's congressional delegation to fix the federal budget during a special meeting Thursday. "We are not going to solve our financial problems by discretionary cuts alone," said Commissioner Larry Schoen. "It's time to rebalance some of our priorities." Schoen, who just returned from a conference in Washington, D.C., said discretionary cuts can reduce funding for community development block grants, which in turn hurts counties. The federal grants are awarded to rural cities or counties for economic development and other projects. Recently, Bellevue received a block grant to replace its aging water mains, and the Blaine County Senior Connection in Hailey used a grant to renovate part of its entryway. 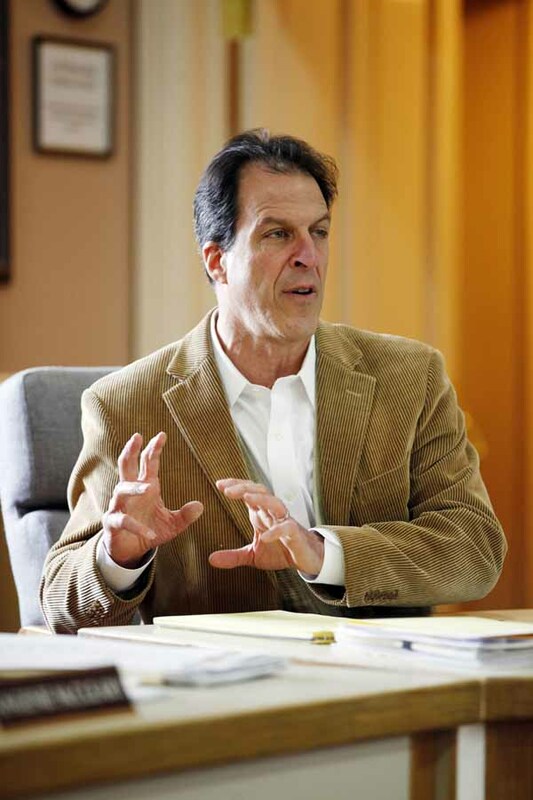 "Defunding these investments in our future is not the way to go," Schoen said, urging the representatives to further invest in projects such as rural broadband Internet access that could help the county's economy. Linda Culver, area director for Rep. Mike Simpson, R-Idaho, said she agrees with Schoen. "We have to address entitlement spending, or everything else is a moot point," she said. Commissioner Tom Bowman said the delegation should be prepared to put their thoughts regarding entitlement cuts into action. "It's one thing talking about it, but when it comes [time] to vote, that's where the rubber meets the road," he said. A.J. Church, representative for Sen. Mike Crapo, said entitlements need to be cut, but so do other expenses. "Everything needs to be on the table," he said. Still, he added, he believes most senators recognize the need to cut entitlement funding. Bowman also expressed concern about funding the expansion of state Highway 75 from Timmerman Junction south of Bellevue to Ketchum. He said Simpson has always been a "champion" of the expansion project, but Congress has eliminated federal earmarks for the next two years, possibly decreasing the amount of funding available. "It does kind of leave a gap," Culver said. "For two years, we know there will be no earmarks. After that, we're not sure." Culver said it is possible that other federal funding might be available for the highway expansion.